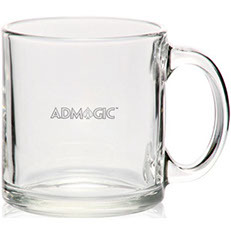 Description: Clear 10.5 oz glass Irish coffee mug with thick protruding base and thick rim. 4.25" W x 5" H.
Description: Clear 8.5 oz. 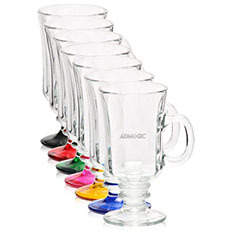 glass Irish coffee mug with c-handle grip and smooth rim and colored base. Custom sprayed bottom glass that gives a colored hue. Great for restaurants, pubs, bar promotions and nightclubs! 3 5/8" W x 6 3/8" H.
Description: Clear 8.5 oz. 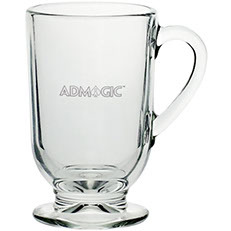 glass Irish coffee mug with c-handle grip and smooth rim. 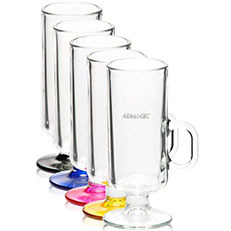 3 5/8" W x 6 3/8" H.
Description: Clear 10.5 oz glass Irish coffee mug with thick protruding colored base and thick rim. Custom sprayed bottom glass that gives a colored hue. 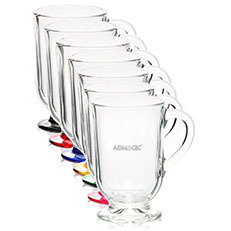 4.25" W x 5" H.
Description: Clear Irish glass coffee mug with tapered C-handle, colored base and thick rim and foot, 8.25 oz. Custom sprayed bottom glass that gives a colored hue. 3 3/4" W x 5 7/8" H.
Description: Clear 8.25 oz. 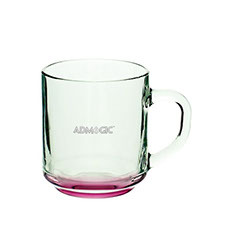 Irish coffee mug with optical illusion, ribbed colored stem and thick rim. Custom sprayed bottom glass that gives a colored hue. 4 1/8" W x 5 7/8". 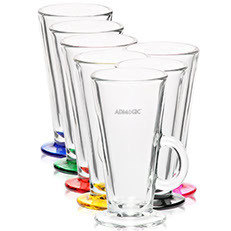 Description: Clear glass coffee mug with protruding colored base, thick handle and smooth rim, 10 oz. Custom sprayed bottom glass that gives a colored hue. 3.1" w x 3.5" h.
Description: 13 oz. 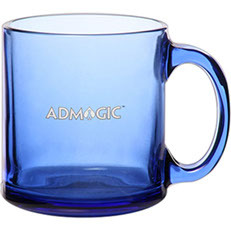 cobalt blue glass coffee mug with c-handle and thick base. 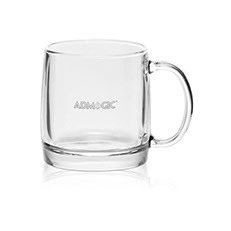 4.75" W x 3.75" H.
Description: Clear glass coffee mug with handle, smooth rim and thick base, 13 oz. 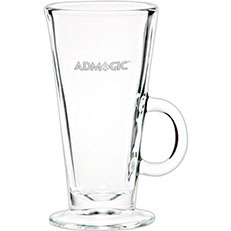 3.25" W x 3.75" H.
Description: Clear glass coffee mug with a c-handle and thick base, 13 oz. 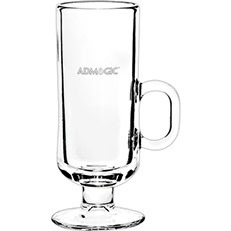 4.75" W x 3.75" H.
Description: Clear Irish glass coffee mug with tapered C-handle and thick rim and foot, 8.25 oz. 3 3/4" W x 5 7/8" H.